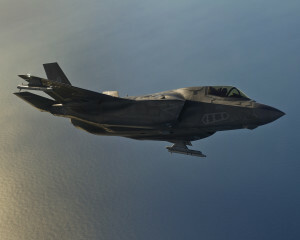 MBDA has commenced deliveries of a quantity of Advanced Short Range Air-to-Air Missiles (ASRAAM) for the forthcoming integration of this infra-red air dominance missile onto the UK’s F-35B. The first missile was delivered to the US during January in conjunction with BAE Systems (the UK’s F-35 weapon integration lead). ASRAAM will be the first UK missile to arm the F-35 and its integration within the F-35 System Development and Demonstration (SDD) phase of the programme will give the Royal Air Force and the Royal Navy’s F-35s a highly capable, passive, Within Visual Range air-to-air capability. These test missiles will be used during 2016 for a series of flight trials and air-launched firings that are a key step towards the Initial Operating Capability of the aircraft by the UK. The trials will include environmental data gathering, safe separation from the aircraft, weapon integration with the F-35’s on-board systems, and lastly, weapon firing trials involving the engagement of targets. These integration activities will take place at both the Naval Air Station Patuxent River and Edwards Air Force base in the USA.